The EM6500S has a convenient folding handle. 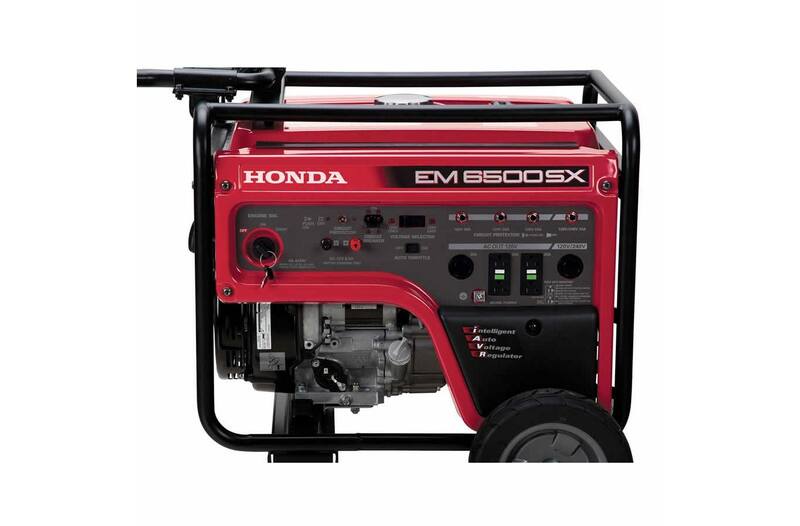 Powers fridge, freezer, furnace, well pump, and much more: The EM6500S can power a wide variety of appliances in your home. Check the applications tab for more examples. 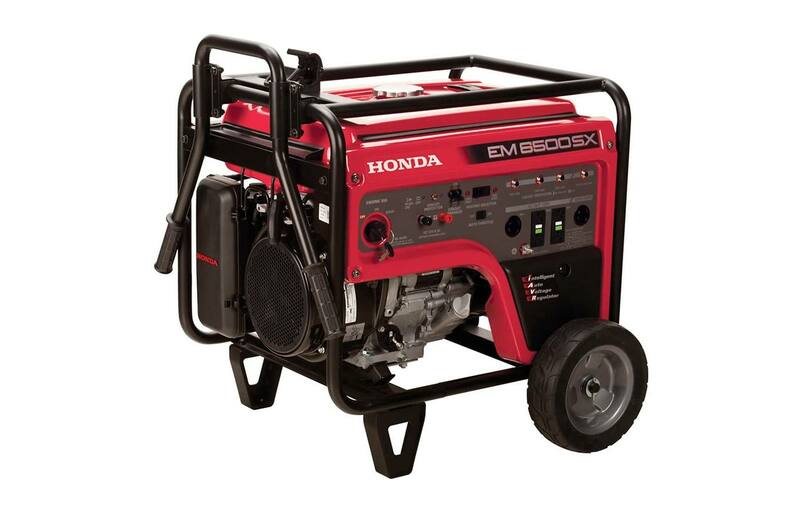 Provides 7,000 watts for 10 sec to start larger equipment: Honda exclusive iAVR technology lets the generator operate well above its maximum rating for up to 10 seconds to start high initial amp draw equipment. 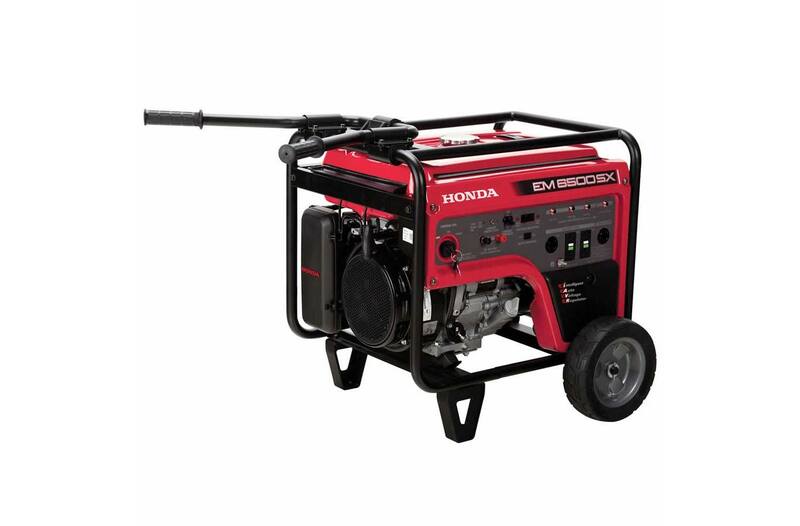 Powerful Honda iGX commercial engine: Honda's innovative iGX series engines deliver exactly what you've always wanted: reliable, optimal performance. These intelligent computer-controlled engines operate automatically with much better, simpler, and faster controls. GFCI protection: The EM6500 offers 2 duplex outlets with GFCI protection. Dimensions (L x W x H): 41.4 in. x 27.8 in. x 28.3 in.